The concept of peer-to-peer (P2P) lending is elegantly simple. Also known as marketplace lending, alternative lending, social lending and crowdfunding, P2P means lending money to individuals, or “peers,” without going through a traditional financial middleman like a bank or other financial institution. As I mentioned in my recap of the Cloud Lending Summit, P2P is growing exponentially. P2P lending got its start in 2005 when Zopa launched in the UK as the world’s first P2P lender. P2P companies work by matching individual lenders and borrowers online. This comes with the promise of great rates for both borrowers and lenders because it’s more efficient than traditional banks. Alternative lending is growing fast for both borrowers and investors. Borrowers who were impacted by the financial crisis in 2008 and amassed a daunting amount of credit card debt or lost the equity in their homes turned to P2P as the only source available for unsecured personal loans. Instead of paying 28% interest (or higher!) on their credit card debt, a loan from P2P leaders like Prosper and Lending Club cut the interest rate in half. In fact, some P2P lenders offer interest rates that are 70% lower than credit card interest rates. Investors are attracted to P2P for several reasons starting with the higher rate of return and ability to feed an investor’s appetite for risk. Hungry for low risk? Invest only in Grade A loans where every borrower has excellent credit and is unlikely to default. On the other hand, a taste for a higher rate of return comes with a healthy dash of risk. There’s also a human side to P2P lending that appeals to investors: It feels good to invest in real people, rather than a faceless, institutional mutual fund. 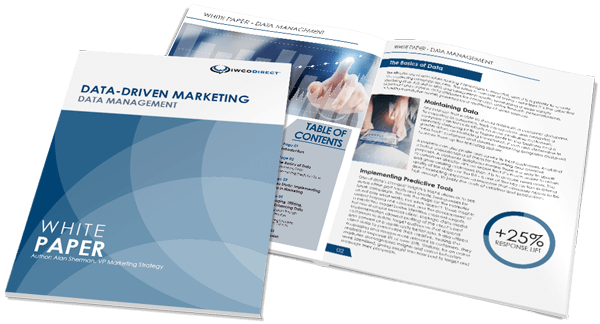 So how does a traditional marketing channel like direct mail work in an emerging industry like alternative lending? It turns out that many loan seekers are willing to put down their smartphones and tablets so they can pick up their traditional mail. The first caveat is the offer must be timely and relevant. One of the advantages of P2P loans is they happen quickly. Loans are typically funded in one to three weeks, depending on the size of the loan, so the timeliness of the offer is paramount. P2P borrowers rave about the simplicity of the process, especially compared to their perception of trying to get a loan from a traditional bank or financial institution. In order for a P2P direct mail campaign to be effective, the call to action (CTA) must be elegantly simple and easy to understand and use. Features and benefits should be listed in clear, concise bullet points in a sidebar that only has to be read once to be understood. One of the benefits of using direct mail for middle-aged, middle-income borrowers is the trust factor that direct mail brings to this alternative lending channel. Using an official looking outer envelope conveys legitimacy for those who may be uncomfortable starting to pursue a P2P loan online. And don’t assume millennials won’t respond to direct mail. As my colleague Ashley Leone has written so eloquently, millennials love mail. And here’s a special tip: A recent study by InfoTrends shows millennials as the demographic with the highest percentage indicating the quality of the printing and paper has an effect on whether they open direct mail. The use of direct mail by P2P lenders shows the effectiveness of this traditional marketing channel in the new world of alternative lending. It’s one of the best illustrations of how online and offline channels work together to bring borrowers and investors together. If you have interest (pun intended) in using direct mail in your P2P campaign, leave a comment here.